This is Part III of our Highlights of the Exumas series in anticipation of our 2016 Grand Escapade. Read Part I and Part II here and have a virtual getaway! InterMarine's 2016 Grand Escapade to Exumas is finally here. Later on this week, our guests and host crew will meet to embark on an unforgettable vacation to the Exumas Islands in the beautiful Bahamas. Aside from all the fun things to do (hello iguanas and underwater caves!) we will also have to stop and rest sometime, right? This means upscale marina accommodations to round out this beautiful travel experience. 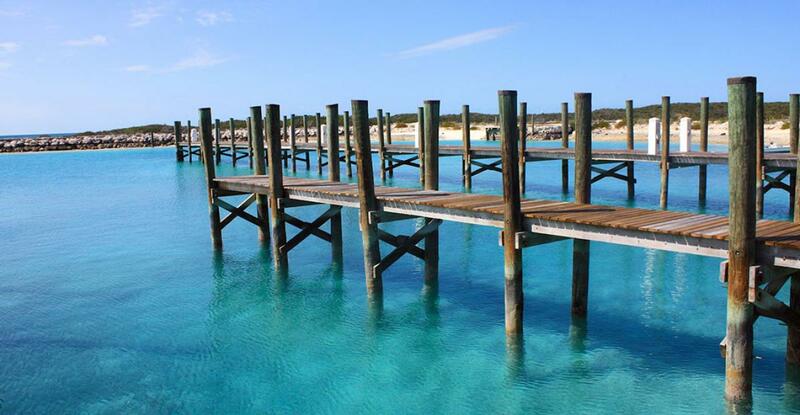 Here are some of our favorite spots to rest while in the Exumas. Highbourne Cay Marina - Highbourne Cay offers high-end, luxurious cottages, but we don't need any of that when we stay aboard our fabulously appointed Prestige yachts. Located within a naturally-sheltered harbor, Highbourne Cay offers some of the most quintessential experiences in a Bahamas vacation: stargazing, hiking, snorkeling, watching the sunset, or simply do nothing else but sit and enjoy the breathtaking beauty around you. Marina at Emerald Bay - This marina is the epitome of convenience with point of entry, customs on-site, and concierge services. Park your Prestige or Jeanneau yacht at Emerald Bay and stay for a few days while you enjoy nearby hot spots like Chat'N'Chill and Georgetown bars and shopping. While you're there, you can also take snorkeling or fishing tours, go swimming with the (friendly) stingrays, or just play all day in the powder-fine white sandy beaches. Cape Eleuthera Resort and Yacht Club - From here, you can enjoy some of the most wonderful gifts Mother Nature has to offer. There are three on-site beaches (Sunrise, Sunset, and Fourth Hole) and an absolutely breathtaking photo spot called High Rocks Cliffs. Also nearby and just a taxi ride away is Lighthouse Beach with its famous pink sand, and don't miss the spot where the Atlantic Ocean and the Caribbean Sea meet! It truly is an amazing experience and it can be enjoyed while staying at Cape Eleuthera Yacht Club. Atlantis Paradise Island Resort - We cannot leave out this luxurious, over-the-top Bahamian party spot! Atlantis is packed with activities ranging from fine dining and casinos to water parks and aquariums where you can swim with dolphins. Dolphin Cay at Atlantis is one of the largest and most sophisticated marine habitats and animal rescue-rehabilitation facilities in the world. While at Atlantis you can go swimming, scuba diving, golfing, clubbing, bar hopping, or just enjoy a day at the spa. There's a reason it's called Paradise Island! We are looking forward to our glorious 10-day yachting trip to the Exumas and know that our guests will make wonderful memories that will last a lifetime. If you are interested in coming along on a Grand Escapade, please contact our sales department. InterMarine Escapades are open to InterMarine customers only, and the Grand Escapade is subject to vessel and engine requirements due to the extended nature of boat travel.